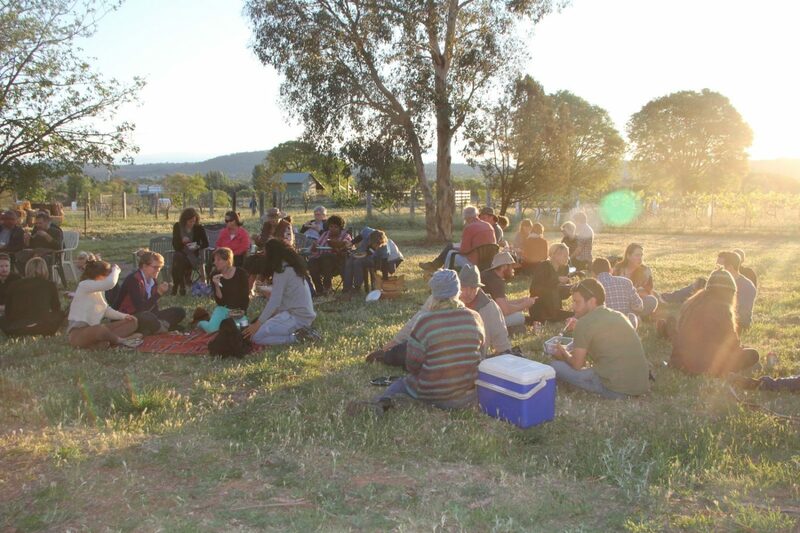 Close to 100 people came together for the Inaugural Food Sovereignty Convergence held in Canberra at the Burringiri Culture Centre, 23rd and 24th October 2017. Hosted by the Australian Food Sovereignty Alliance (AFSA) and facilitated by Maia Sauren, Serenity Hill and Robert Pekin, the Convergence was a ground breaking couple of days full of discussion, strategizing and, of course, food!Food Sovereignty is our right, as people, to democratically determine our own food and agriculture systems and to access healthy and culturally appropriate food. 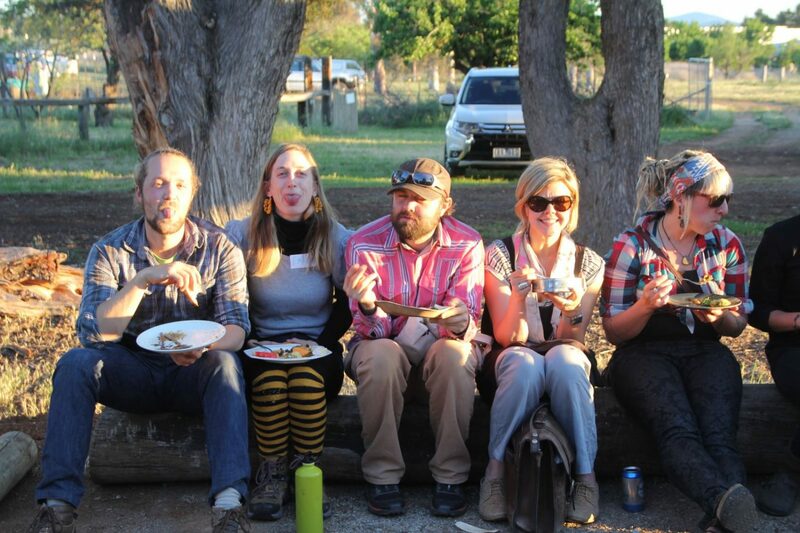 The Food Sovereignty Convergence provided a space for the movement to come together in solidarity and map out a food sovereign future for Australia. The Convergence kicked off with a discussion on the international Food Sovereignty movement, led by Tammi Jonas, President of AFSA, and Fran Murrell, co-founder of MADGE Inc. (‘Mothers Are Demystifying Genetic Engineering’ but also ‘Mothers Advocating Deliciously Good Eating’). Tammi spoke about the peasant led movement, La Via Campesina, of which AFSA is a member of, and the impact that they are having, particularly through their work with the UN, on protecting the rights of peasants, small-scale farmers, indigenous peoples, women farmers, youth, landless workers and fisher folk. Fran spoke about the power of Civil Society Organisations in speaking up against the transnational, corporate regime pushing Genetically Modified Organisms in our food system. 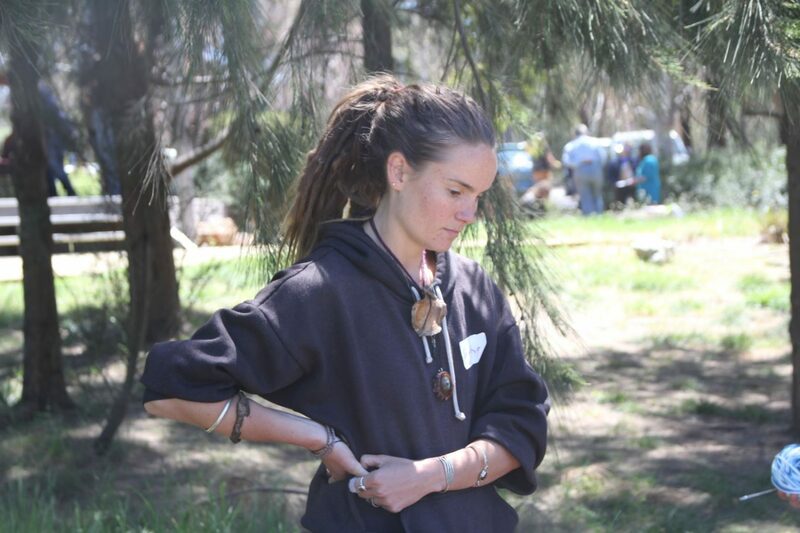 Following this international context, Ngarigu woman, Ellen Mundy, spoke about her connection to country. With input from other First Nations people in the room, Tony Boye joined Ellen to speak about the importance of connecting with Traditional Owners, building respectful relationships and understanding their ‘songlines’ and stories. This set the scene for the discussions to come, highlighting the need for a registry or ‘first steps’ page on the AFSA website to encourage land owners and farmers to engage with First Nations people and ensure the longevity of land and culture. 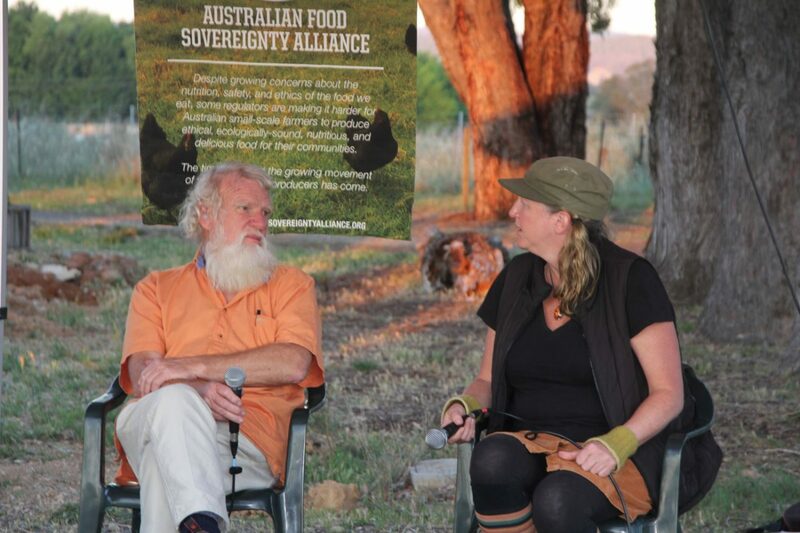 On the evening of the first day of Convergence, we were also honoured to chat with Bruce Pascoe, author of 'Dark Emu, Black Seeds', at Canberra City Farm. Pascoe spoke about respecting country and connecting with Traditional land owners. He made it clear that conciliation, rather than reconciliation, will be a long and difficult process, and that with kindness and open hearts we can look after this land, one another and the ancient culture and history of people embedded within it. 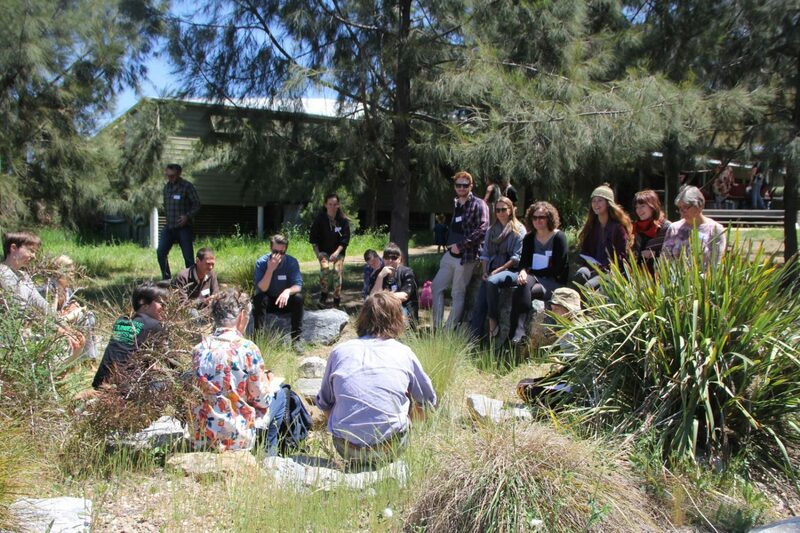 After democratically determining discussion topics for the Convergence, we broke out into working groups and reported back to one another after each session.Several groups recognised the need to engage the ‘edge’, both in terms of eaters and farmers. We discussed the importance of using culturally appropriate terminology and inclusive language when trying to communicate with people who are not yet on the food sovereignty bandwagon. When approaching farmers or eaters on the fringe we must also exercise patience and understanding. Many farmers are burdened with debt and trapped in cycles of production, or they simply lack the skills, knowledge or community to move forward. There’s also an urban/rural and small-scale/large-scale divide which needs addressing. On the other end of the supply chain, we looked at how some people live in food deserts with little access to fair food, or how some people simply lack the knowledge, skills or community required to support fair food. We talked about the role of chefs, food justice, right to food and why it is crucial that farmers are not undermined when we work on access to fair food. We agreed that, instead of campaigning for a supermarket boycott, we should, instead, focus on promoting the alternatives. We should also be encouraging one another to question cafes, restaurants, stores etc. about where their food comes from to spark change. One of the discussions centred on the importance of Community Supported Agriculture (CSA) models. We spoke about why CSAs should meet the foundational Teikei principles and why we should preserve the CSA as farmer owned and led. It was agreed that CSAs are not a ‘one size fits all’ solution but that they’re a great model for small-scale farmers to consider in combination with other sales and distribution channels. Another group discussed how distribution can better serve farmers, looking at ways of improving logistics, dealing with volunteer burnout and exploring options for collaboration. In terms of farmer collaboration, we discussed the need for more Participatory Guarantee Systems (PGS) models as an alternative to the increasingly industrialised Certified Organic model. We spoke about Climate Change, its impact on the food system and the role farmers play in mitigation and adaptation. Rather than getting bogged down in the despair of it all, it was suggested that we focus on positive projects and how we can act to make real change. 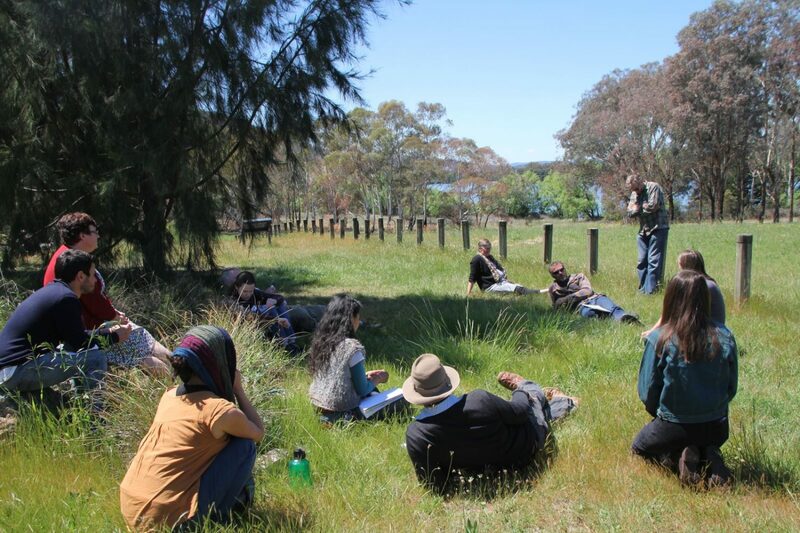 The importance of bees and issues surrounding water in the Australian landscape and food system were also explored, including the framing of water by Traditional Owners through songlines. We identified the need for more diverse, multi purpose and resilient animal breeds that are suitable for agroecological systems in an Australian context. The issue of poultry was strung out, looking at the need for open source genetics, better processing options and encouraging more backyard flocks for home consumption. We also agreed that we should be consuming more native animals because they’re gentler on the land and some are at disproportionately large numbers, particularly kangaroos and possums. The Commons was brought up in several discussions, imagining what it could look like in Australia, highlighting the importance of transparency, community and good governance. We looked at alternative financial structures and how, increasingly, there’s more space for non-monetary forms of value and capital over longer periods of time, rather than the established capitalist model requiring instant financial returns. 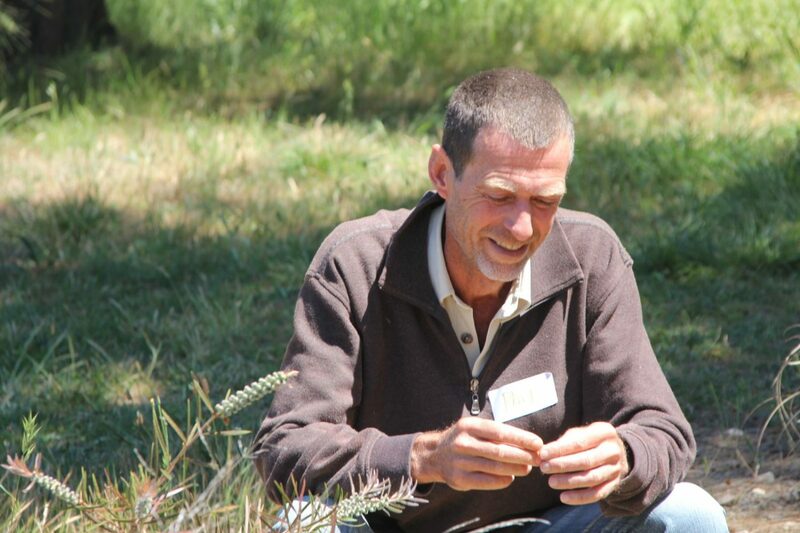 It was highlighted that we need to change the narrative around profit, particularly if we want to engage more farmers in regenerative, agroecological practices. The issue of the cost of land was raised, particularly land that is close to cities. Share farming, cooperatives, diversification, value adding and on farm enterprise stacking were explored as ways to move forward. 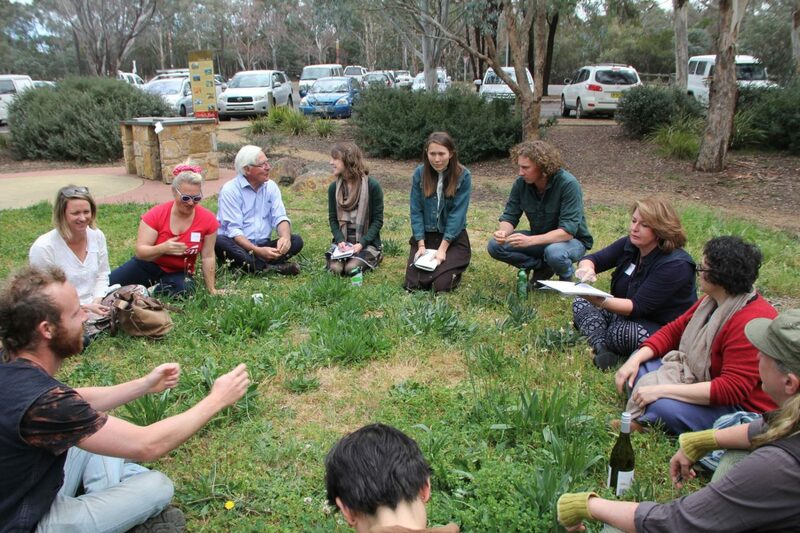 As a space for discussion, movement building and collective strategising, the Food Sovereignty Convergence was a success. To finish up the Convergence, AFSA held its AGM and elected the National Committee for 2018. AFSA will be heading into 2018 with a jam-packed agenda but we’re feeling invigorated because Convergence gave us community, and it’s community which gives you strength and hope. Notes from the various discussion sessions can be found on the Fair Food Forum.